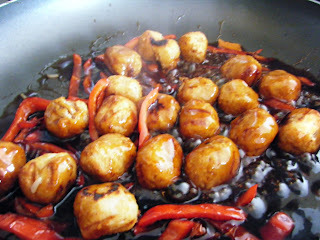 These sweet and sour pork meatballs can be made up in less time than it takes to wait for a take away to be delivered. 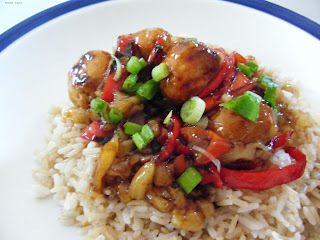 If we do get a take away I always go for sweet and sour pork, it's my favourite especially the thick sauce but there is only ever one sad bit of pineapple floating in it which invariably causes a fight and as lovely as it is, I'm always left wondering what exactly makes the sauce from the take away quite so neon in colour? I've discovered it's really very easy to make your own sweet and sour sauce (with pineapple for everyone) throw in some pork meatballs and boiled rice and you can recreate your favourite takeaway in no time. 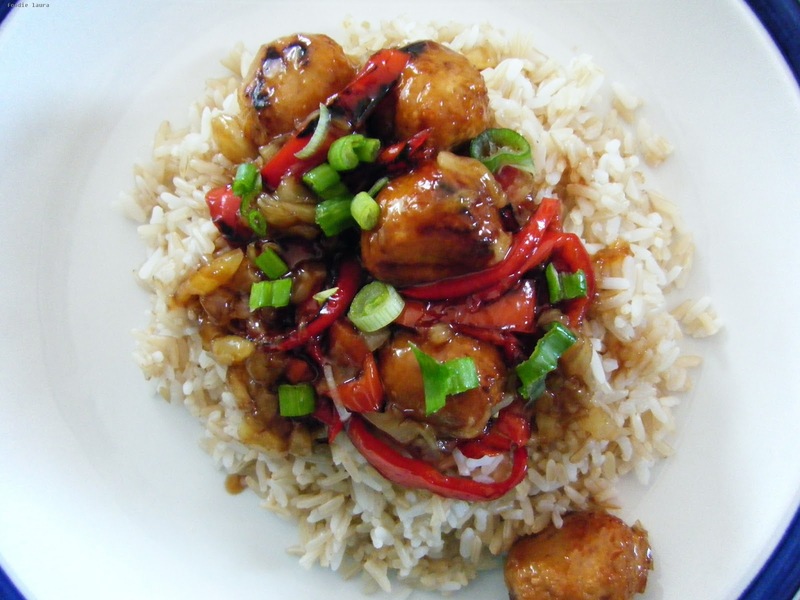 You can substitute rice vinegar with white vinegar, the flavour is not as mellow but it still works. Fry the sliced peppers and meatballs with a little oil in a large frying pan. In a small saucepan add the vinegar, soy sauce and sugar. 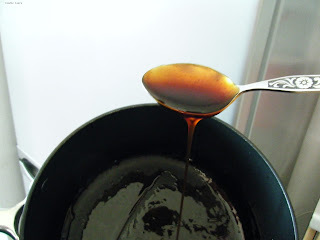 Warm over a medium heat until the sugar dissolves, it will take around 1 minute. Add the pineapple paste, lime juice and chilli flakes, stir then allow to thicken and come to the boil. This takes around 4 minutes, the thick sauce will easily coat spoon. 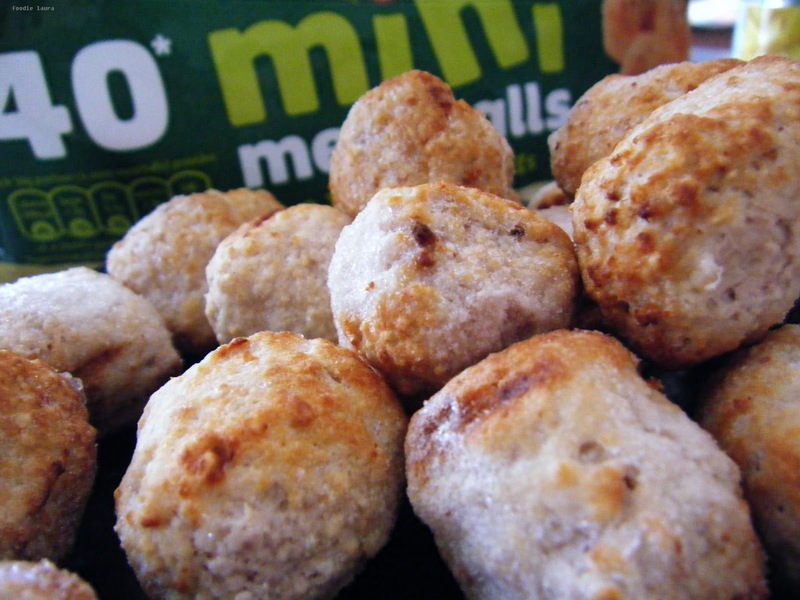 This consistency is perfect as it clings very nicely to the peppers and meatballs. 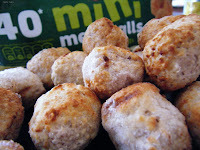 This post is an entry for Britmums' Hungry To Happy Challenge sponsored by Richmond Mini Meat Balls.